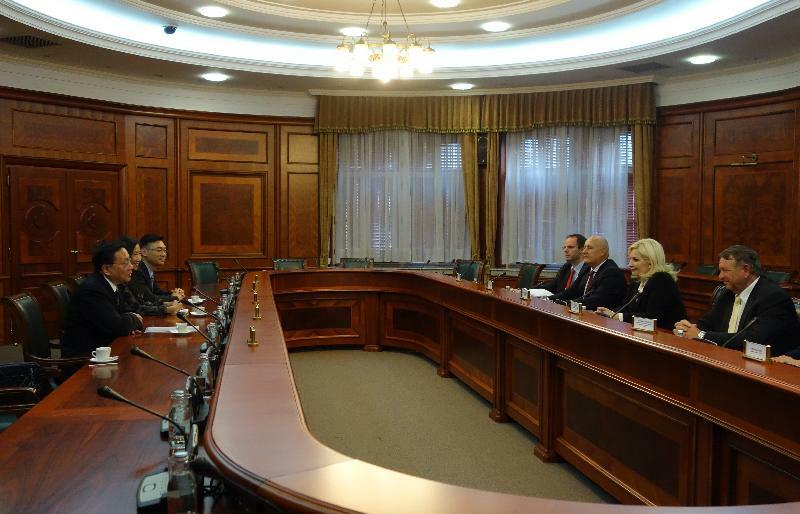 The Secretary for Transport and Housing, Professor Anthony Cheung Bing-leung, on October 4 (Belgrade time), signed an air services agreement on behalf of the Government of the Hong Kong Special Administrative Region with the Government of the Republic of Serbia in Belgrade. Representing the Government of the Republic of Serbia to sign the agreement was the Deputy Prime Minister and Minister for Construction, Transport and Infrastructure, Professor Zorana Mihajlović. The agreement provides a legal framework for establishing air links between Hong Kong and Serbia, which will promote economic development and cultural exchanges between the two places. Professor Cheung said that the agreement is the 65th signed by Hong Kong with its overseas aviation partners. Serbia is along the Belt and Road. The signing of the agreement with Serbia to establish direct air links between the two places will give new impetus to the co-operation between Hong Kong and Serbia under the Belt and Road Initiative. A list of countries that have signed air services agreements with Hong Kong as of October 2016 is in the Annex.